I was hoping someone could help me with the calligraphy. 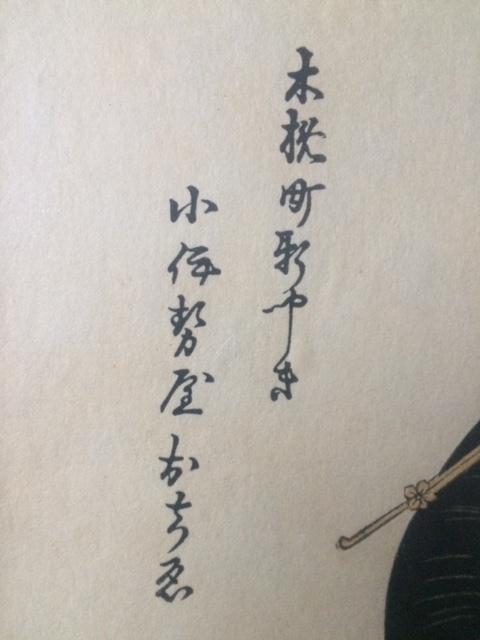 Does anyone know the artist or what this says? Subject:Re: Help with Artist, Watercolor? 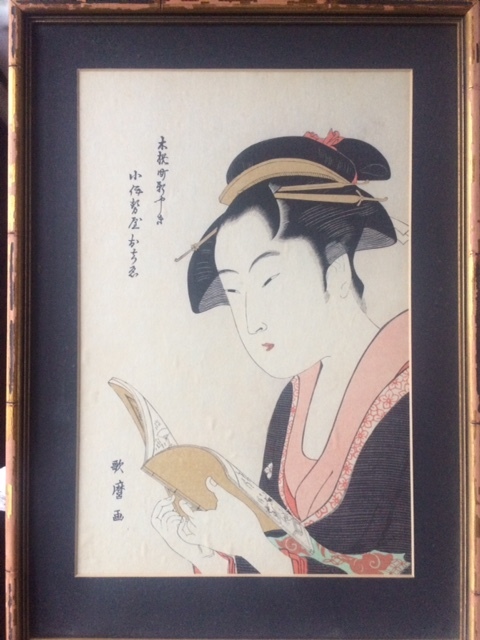 You have a repro of a Japanese woodblock print by Utamaro titled "Ochie of Koiseya Teahouse". See link below. Thank you so much! Great info! There are no pixel dots. Does that mean it's not a print but something else? Utamaro's prints were often reproduced. They take an original print and carve new woodblocks from the print. 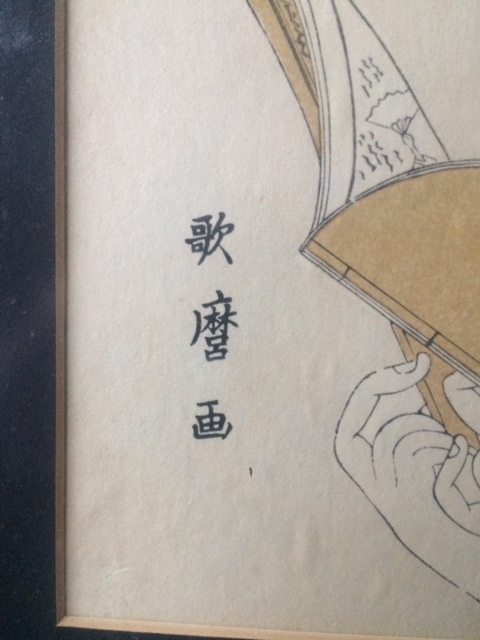 Thus, it is a woodblock print, but NOT an original print. Typically, a repro Utamaro will sell in the $50 - $100 range on the artelino.com auction site. An original Utamaro in excellent condition goes for thousands of dollars. In particular, read the link below about original prints.